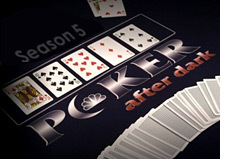 The fifth season of Poker After Dark will be taking to the airwaves in 2009. Based on the preliminary details that have been released, this should be a very interesting (and entertaining) season. First off, the show is going to be expanding the number of "cash game weeks" to a total of seven. 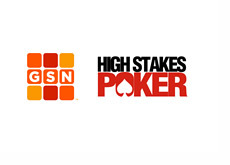 The show started airing cash games last season, and this change in format proved to be very popular with fans. In addition to the seven "cash game weeks", there will be a total of six No Limit Hold'em winner-take-all weeks, in keeping with the traditional format of the show. On top of that, there are apparently three unaired episodes from Season 4 that will be kicking off the fifth season of the show on December 29th. 1. "The Magnificent Six". Chris Ferguson, Howard Lederer, Daniel Negreanu, Phil Ivey, Phil Hellmuth and Doyle Brunson. Should be a great table. This will be the standard winner-take-all format. 2. "USA vs Italy". Will mark the debut of Dario Minieri on the show. Erick Lindgren will also taking part at the table. I can't help but think that Lindgren (and many viewers at home) will be taking shots at Minieri's attire. 4. "International Week". David Benyamine, Brad Booth, Allen Cunningham, John Juanda, John Phan and Ivan Demidov. 5. "Dream Match III". Phil Laak, Jennifer Tilly, Mike Matusow, Johnny Chan and Daniel Negreanu will be making up Arnold Thimons' dream table. 1. "Nets vs Vets". Team Cardrunners (Cole South, Taylor Caby and David Benefield) will be playing against Gabe Kaplan, Doyle Brunson and Eli Elezra. 2. "The Hellmuth Bash". This cash game will last two weeks, and will feature: Hellmuth, "durrrr", Antonio Esfandiari, Phil Laak, Kenny Tran and Bob Safai. 3. "Railbird Heaven". Another two week cash game. This table will feature Patrik Antonius, Phil Ivey, Tom Dwan, Gus Hansen, Daniel Negreanu, Phil Hellmuth and David "Viffer" Peat. Peat and Hansen will apparently split time at the table. These two weeks will undoubtedly produce some of the highest ratings in the history of the show. 4. There will be another two weeks of cash games featuring Eli Elezra, Patrik Antonius, Howard Lederer, Phil Ivey and Ilari "Ziigmund" Sahamies. This is shaping up to be a really good season. How long until the show is 100% cash games? Maybe it's just me, but I would much rather see Ivey, Antonius and Dwan going at it in a high-stakes cash game than watch Dan Harrington, Mickey Appleman and Steve Zolotow battle it out in a battle of the "Mayfair Club". Cash games = higher ratings. Anyways, this season is definitely a step in the right direction.